This was a really, really good week! I got to have dinner with a great girlfriend who I love spending time with, run with my favorite running buddy (and life buddy too), eat Sweet Frog frozen yogurt (which is THE BEST), and spend a whole night eating pizza and drinking beer with my softball team. As you know, I embark on my vacation this weekend, but before I go I have plans to see a great friend who is going back to Boston while I am away (I got her for a whole summer and I feel like it went by SO FAST. I’m going to miss her), attend Mike’s family reunion brunch in New Jersey, and PACK. Sometimes I don’t have enough appreciation for how great my life is, and that’s a shame because I am so blessed. On the phone this morning my mom gave me an excellent piece of advice. She said, “Stop majoring on the minors. Major on the majors.” Such a simple concept, but so much truth for me. I get bogged down in silly little stuff a lot, and I lose sight of the big stuff that actually matters. I can’t wait to take some time on this vacation to regain some perspective 🙂 Have an excellent weekend and I will see you soon!! 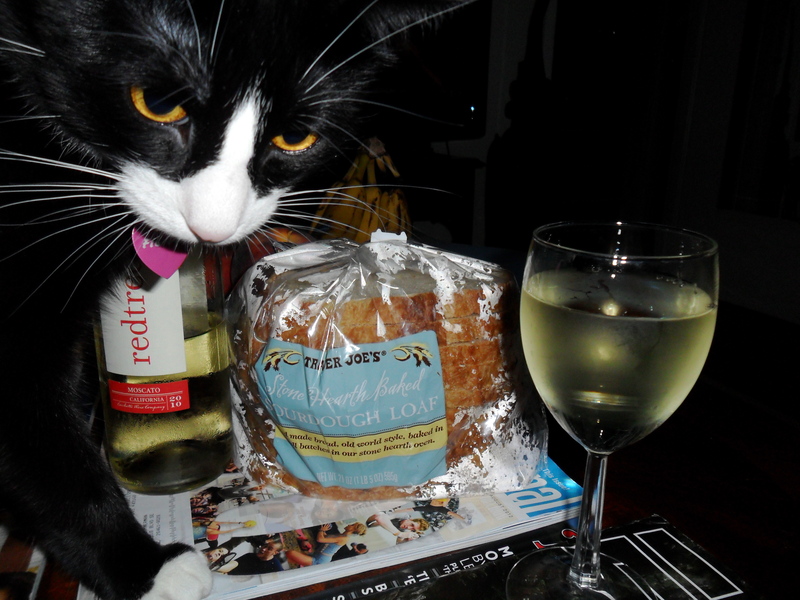 Fig photo bombed some blog photography earlier this week. 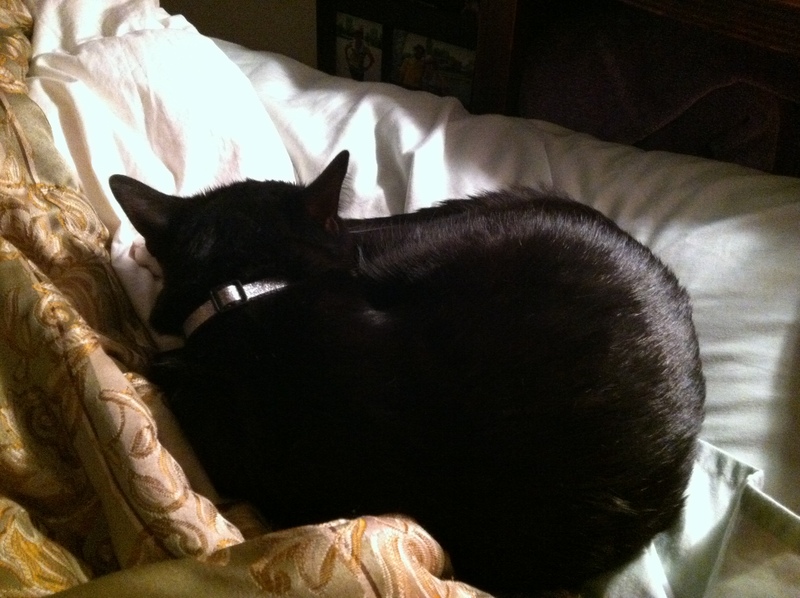 There are a lot of cat pictures this week… just deal with it. This is literally one of my favorite sights to wake up to in the morning. 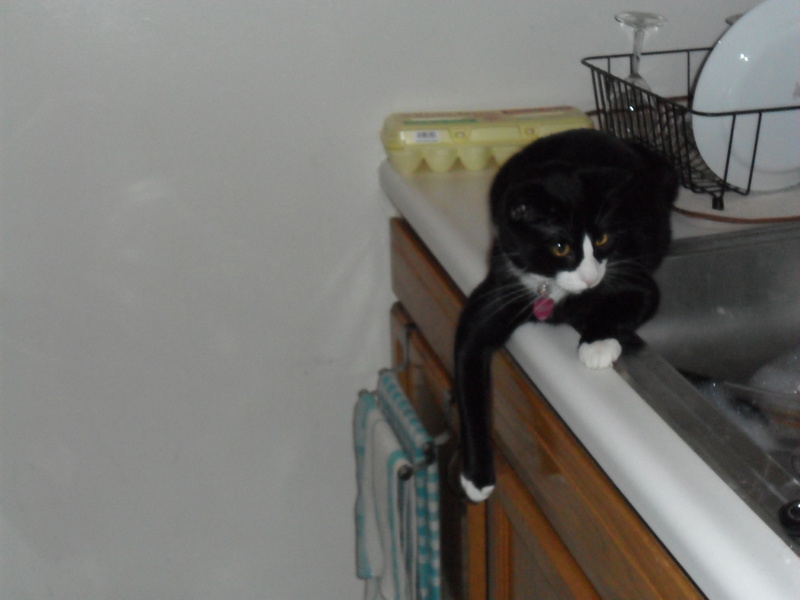 Fig once again demonstrates his complete lack of utility in the kitchen… just hangin. 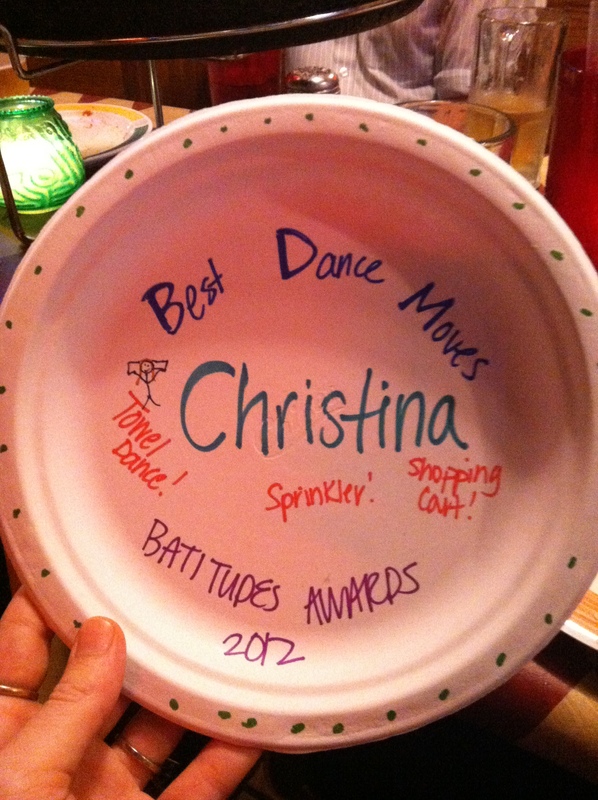 The Battitudes “awards banquet” at Armand’s Pizza in Silver Spring. 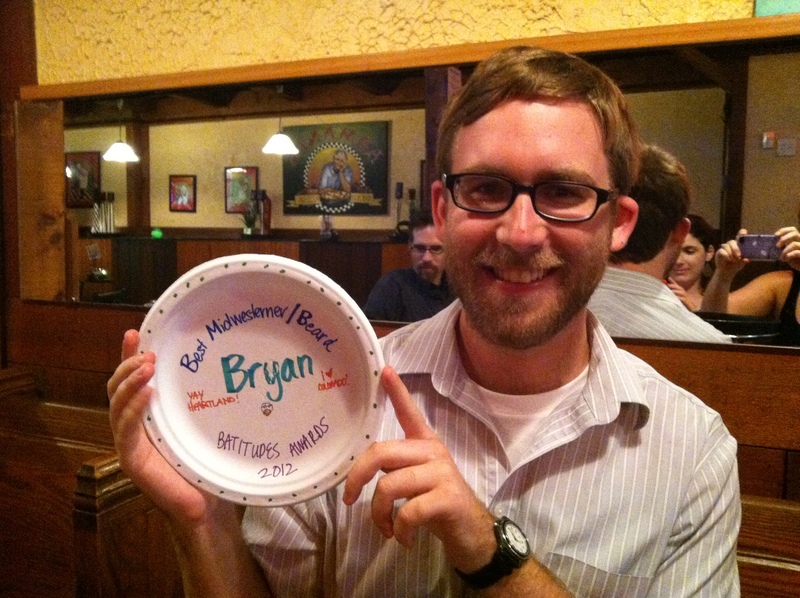 Bryan won “Best Midwesterner / Beard”… it was a landslide victory. 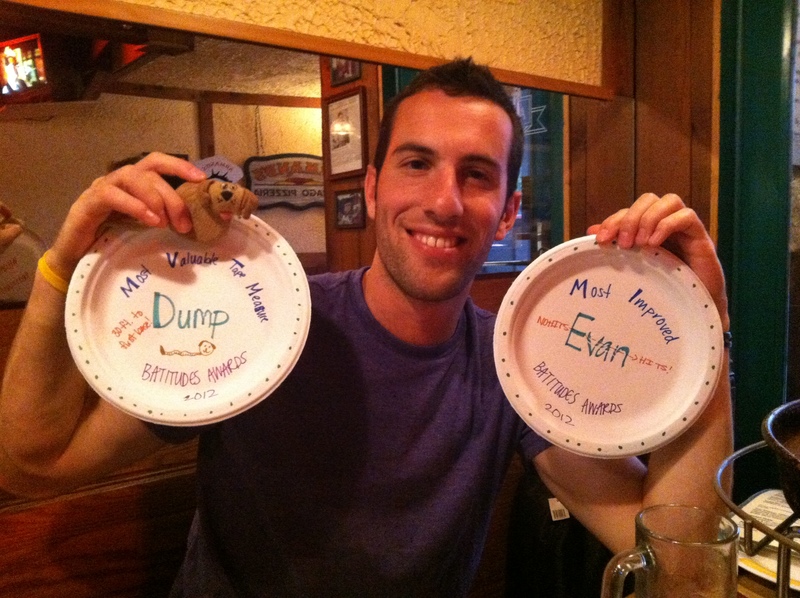 Evan won “Most Improved” and Dump won “Most Valuable Tape Measure”… it’s a hipster thing, just go with it! Aaaannnddd in my crowning achievement for the season, I won “Best Dance Moves”… most notably for my “towel dance”, which I did on base anytime I got a hit.